Posted by Trixie. April 3rd 2014. 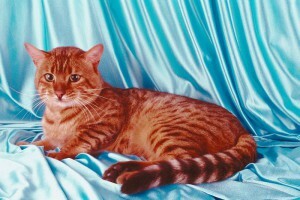 It is no surprise that Bengal cats are one of the most frequently-exhibited breeds on the show circuit. These beautiful felines look like miniature wild cats with their exotic golden and black spotted coats and shiny green eyes. With breeding roots in the 1960s when a domestic cat was crossed with the small and shy wild cat, the intriguing Bengal Hybrid was born. Since then these cats have become popular as pets and for showing, holding the honours of championship status since the early 1990s. Bengals are medium to large sized cats with thick coats of rich colours and markings. 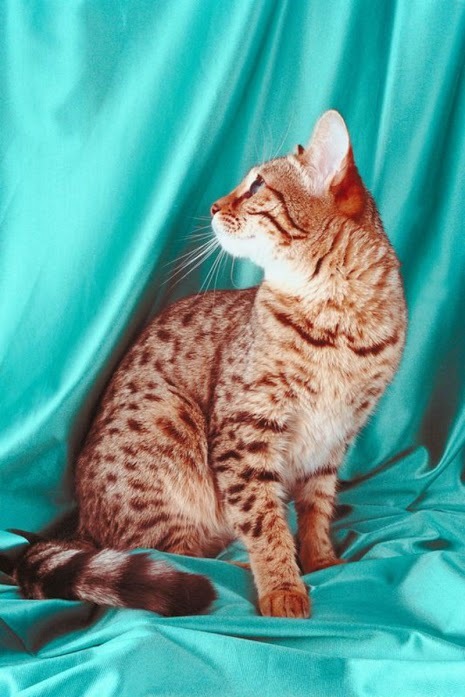 Covered in spots or marbling designs, the Bengal is the only domestic cat that can have rosette markings proudly displayed by the likes of Leopards, Jaguars and Ocelots. A rosette is the distinctive camouflage-type of marking where clusters of dark-coloured fur commonly surround a two-toned spot. Sometimes the rosettes are grouped without a central spot and some appear as blotches. The fur of Bengals can be caramel-coloured or grey and markings, whether rosettes or marbling, can be very defined or gentle. Fur is thick, velvety and has an iridescent quality. Bodies are lithe and toned and features are facial balanced. They weight from 6 to 15 pounds with males slightly larger and heavier than females. They may look like mini wild cats, but the Bengal Cat is a friendly companion to both people and other pets. As with most pets, they need to be properly introduced to family members and other animals so that they can relax into their new setting. Generally confident and curious, Bengals are known for their love of heights which could hark back to their wild origins. Very active, Bengals love playing, chasing and exploring but they can also be a docile companion when it suits them! A peculiarity of Bengals is that they like water, and are likely to hang around the bathroom when their owner is having a shower. In fact, they will probably want to be wherever their owners are as they know that they will find the centre of their universe there. Taking care of the coat of this exquisite breed is a similar exercise to looking after other felines and not very time-consuming. Brush on a weekly basis and declaw as necessary. Daily teeth brushing is ideal but if this is not possible, weekly care is adequate. Bengals cats are generally a very healthy breed but there are some conditions which an owner must look out for. Distal neuropathy is a nervous system disorder that results in weakness and can occur as early as one year of age. Most Bengal Cats will recover naturally although some will relapse into this condition from time to time. Bengal Cats are also prone to hip dysplasia which can lead to lame limbs in extreme cases and some also suffer from heart problems. 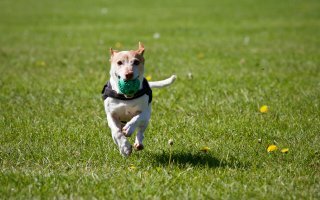 A degenerative eye disease known as progressive retinal atrophy can also afflict this breed.